7 1/2 Inch Silver Wrapper Smokeless Cake / Ice / Club Sparklers with Silver sparklers. 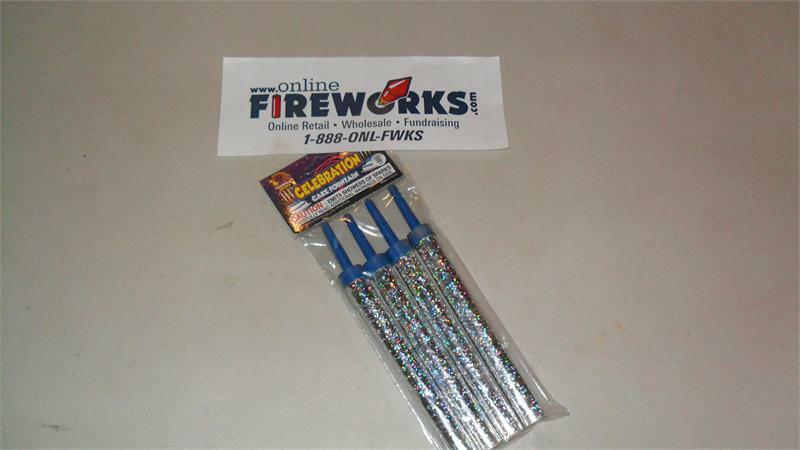 1 pack of 4 Sparklers are 7 1/2 inches long and composition is about 6 inches with blue plastic base for cake, ground or ice sculptures. Awesome Bright silver sparkles fill the air and light up the night. Meant for outdoor use, always follow manufacturer recommendations for safety.